Kim Chiu and Xian Lim will once again pair up in an upcoming movie entitled “Past Tense.” This movie is brought by Star Cinema. The latest two films where the Kim and Xian, popularly known as KimXi are "Bakit Hindi Ka Crush ng Crush Mo" and "Bride For Rent" and we have seen how good the two on their respective roles. 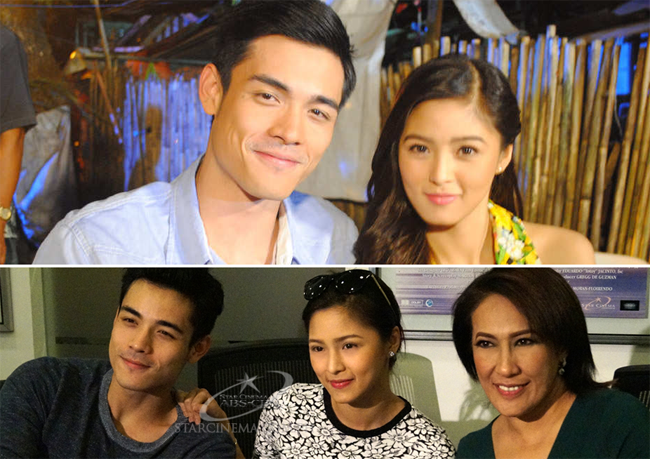 This is another moment for the real-life sweethearts to make their fans happy as they work with Ai Ai delas Alas who will play the role as Kim’s counterpart for Xian’s heart in the movie. And this is considered as first time in the Philippine movie. The two, Kim and Xian assured their fans that they will witness something different like a kind of twist in the movie. This makes the movie more exciting to watch. This is also delas Alas’ return to her genre in terms of movies and she is so excited for it. She even told during an interview that we should not forget watching this movie for it has so many things to show. The Past Tense Movie’s official release is yet to announce so you better prepare yourself.